The Relais takes its name from the typical trullo where, during the harvest, there was the pressing of grapes harvested in the vineyards of the village; The obtained must passed into the tank underneath and was subsequently stored for fermentation in large oracles (“capasoni”), clay containers similar to large jars. In front of the Palmento, we find an ancient stone circular aka, where peasants shared meals during the harvest and behind another small trullo used to store the work tools. With the renovation in Palmento, a Club House has been built with a bar where tastings of typical local products (dairy, oil, wines) are organized. 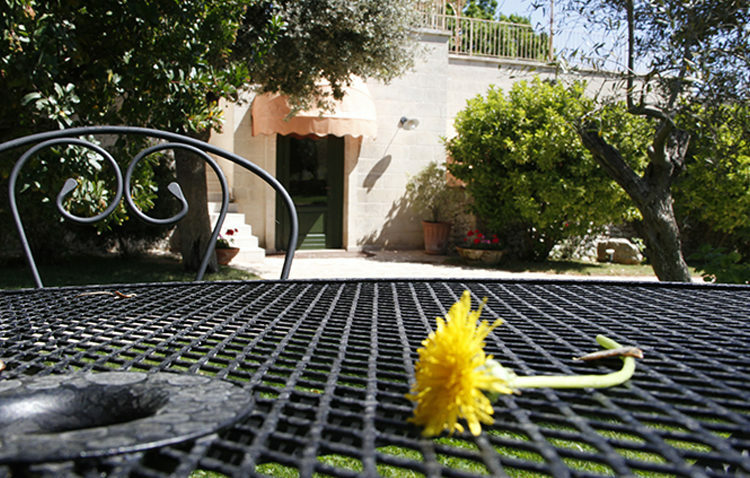 The Borgo, built in the early 19th century, consists of 29 trulli, of which one on two levels called the sovereign trulloys, also included an old common oven where it was baked (now the reception) and at the center of the village there is an old fireplace Common use where milk was processed for dairy products. We can therefore say that in the village all the activities of the time were carried out which allowed residents to be completely autonomous. Over the years, the historical structure, which has been restructured with the right canons, has preserved the charm of the late nineteenth century. In the renovation of the year 2003 it was possible to get 12 beautiful homes with every comfort.